If you’re into your herbs, curries, or Ayurveda, then you have probably heard of turmeric. Also known as the Queen herb, this yellow root is full of minerals and has many potential health benefits. Turmeric is native to India and South East Asia, and has been used for several thousand years. Its flavour is peppery, warm and bitter, yet has a mild fragrance reminiscent of orange and ginger. It belongs to the Zingiberaceae family, which is more commonly known as the Ginger family. The majority of turmeric’s amazing benefits come from one of its constituents, curcumin. 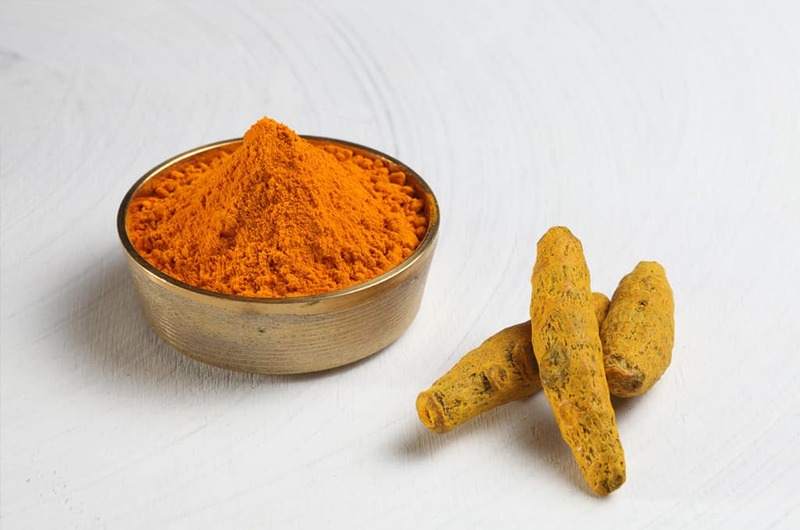 The curcumin gives the herb its rich yellow pigment. We’ve put together our top 5 benefits of turmeric, and why you should be getting more of it into your diet. Turmeric contains excellent levels of both Manganese and Iron. 2 teaspoons contains 17% Manganese, a mineral that is essential for healthy development, metabolism and the antioxidant system. It also contains 10% Iron, a mineral that is essential for maintaining healthy oxygen carrying red blood cells. Turmeric has been shown repeatedly to boost the immune system. This results in a better general health and wellbeing, so makes you less likely to get sick and less susceptible to disease. Turmeric is effective at improving the whole digestive system. It helps to cleanse the liver, which is an organ that plays a vital role in the whole digestive process. Turmeric also acts as a natural diuretic, so will help rid the body of any excess fluid, including excess sodium. This in turn can help lower your blood pressure and help you maintain a healthier weight. So how can you get more turmeric into your diet? You can add powdered turmeric into many of your dishes when cooking. Sprinkle it on rice, or maybe toss it with vegetables. You can even blend it into a smoothie or stir into a bowl of porridge. 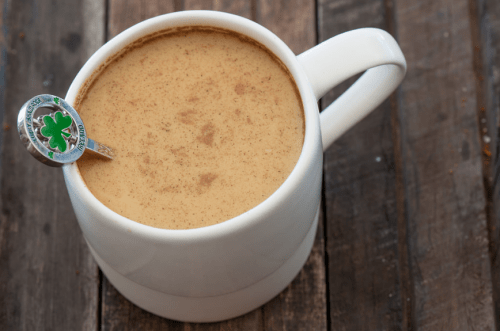 Below is a recipe for a delicious turmeric latte, with ingredients you’ll probably find in your cupboard. You can use dries turmeric in this recipe, so there’s no need to find a fresh root. – 250ml cup unsweetened almond milk or coconut milk. – 1 teaspoon of cinnamon. – 1 tablespoon of coconut oil. – Raw honey or sweetener of choice to taste. To make the turmeric paste, combine 2 teaspoons of turmeric powder with 1 teaspoon of boiling water. Mix well and store any leftover paste in the fridge for up to 5 days. – Gently warm the almond or coconut milk in a small saucepan. Make sure to not let it boil. – Add the turmeric, ginger and cinnamon. – Next, combine the coconut oil with the mixture and gently heat together until melted. – Use a wire whisk or immersion blender to create a foam. Continue to stir until the latte is frothy and heated through. – Stir in the honey or your sweetener of choice to taste. – Serve immediately, topped with an added sprinkling of cinnamon. We hope you enjoyed this recipe and are ready to spice up your meals with more turmeric. You can discover more healthy herbs and spices on our Ayurvedic Retreats.